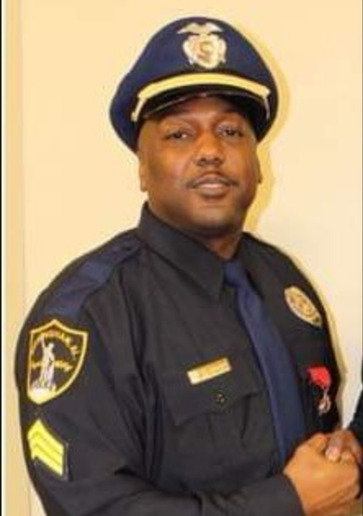 A Birmingham, AL, police officer was shot and killed and a second officer critically wounded early Sunday when they responded to a report of persons breaking into cars outside an area bar. The officers approached a suspect in the break-ins and began patting him down to see if he was armed, Birmingham Police Chief Patrick Smith said at an early morning press conference. The suspect reportedly drew a gun and began firing at the officers. The slain officer has been identified as Sgt. Wytasha Carter, 44. The name of the wounded officer has not been released. Officials say the officer has been on the force two years. Birmingham Police Chief Patrick Smith said at a press conference that the wounded officer is "not out of the woods." One 18 year old suspect is in police custody. Another suspect, a 31 year old man, is hospitalized in critical condition. A possible third suspect may be involved, ABC News reports.